RocketReach supports 3rd party app integrations through Zapier. RocketReach can push new contacts to other apps as well as allowing other apps to search and lookup new contacts directly in RocketReach. These features are available in all of our plans. To get started, you will need to create an account with Zapier. Zapier is a platform that connects different apps together by automating common tasks. For example, you can connect RocketReach to any of the supported CRMs to keep your contacts up to date. Any time you make a lookup in RocketReach, the contact will be sent to Zapier, which will, in turn, make sure that information is added to your CRM. To get started, just create an account and add the RocketReach app. To connect Zapier and RocketReach you will need your API key, which is available from your account setting page. If you've never used your API key before, its a unique key that apps use to talk to your RocketReach account securely. Lookup Trigger: Whenever you do a lookup in RocketReach the contact details are automatically sent to any Zapier apps you have set up. Contact Search: Zapier apps can perform searches through the RocketReach API and retrieve the results almost instantly. Use this to automate searches with your different apps. Contact Lookup Action: This Zapier action allows apps to use the RocketReach API to make lookups without having to write any custom code. By integrating with Zapier directly, RocketReach can provide support for thousands of apps that all support the Zapier platform. This makes it much easier for RocketReach to support new apps as they get added to the Zapier platform and provide bugfixes and stability improvements. With Zapier, you can connect RocketReach with many different apps. The steps are roughly the same, so to demonstrate the process we will walk through how to connect RocketReach with Google Sheets. This tutorial will demonstrate the following steps. From your Zapier dashboard start by clicking “Make a Zap!”. Optionally, you can type in RocketReach and the app you want to connect to in the search boxes. Select RocketReach as your trigger app. Zapier will configure RocketReach to automatically send new contacts whenever they are looked up. You will see a screen asking you to connect your account. Click the “Connect an account” button. Next, you will see a modal asking for your API key. Your API key is accessibly from your RocketReach account. You will need to temporarily leave zapier.com and go to rocketreach.co to retrieve the key. Do this by clicking the API Usage & Settings section link to go to your RocketReach account page. Highlight/select and copy your API key. Go back to the Zapier modal and paste into the input box. Then click the Orange, “Yes, Continue” button. Back on the Zap setup page, click the “Test” button. If everything was done correctly so far, it should turn into a green “Success!” indicator. If you are having trouble at this point make sure you copied the API key correctly. Also, make sure you have verified your email address on your RocketReach account. Zapier is now connected to RocketReach. Click “Save + Continue”. Zapier will ask if you want to test pulling in contacts from RocketReach. You can test this step, or skip it for now. Eventually, you will see an option to configure an action app. For this demo, we’ll type Google Sheets into the search box and select it. We’ll select “Create Spreadsheet Row” so that Zapier adds a new row in our spreadsheet whenever we find a new contact in RocketReach. The next step will have you connect your Google account with Zapier. Follow Google’s instructions to do this. RocketReach does not get access to your Google account. Setting this up only gives Zapier the ability to read and write to Google Sheets. The next step will ask you to select a spreadsheet. Either create one or use an existing one. Make sure you have column heading for the contact information you want to record. For testing, we recommend at least including name and email. You will need to set up how Zapier records information from RocketReach into the spreadsheet. Setup the name field by clicking the button to the right of the input box. Select the Full Name option from the drop-down. This takes the name from the contact and stores it in the name column of the spreadsheet. Do the same with email. Note that you can filter through your options with the search box. Select Current Primary Work Email. You should see something that looks like this (note the sample contact may be different). Click continue to reach the final step. From here you can send a test to make sure Zapier can update the sheet. Click “Send Test To Google Sheets”. Wait a few seconds and you should see the new row added to the spreadsheet. RocketReach also provides a button to test your Zap. This tests every step in the chain so it may be worth doing the first time you set up a Zap. From your RocketReach account page, you should see a button to test your Zaps. This walkthrough went through the steps in connecting Zapier to RocketReach, and Google Sheets and setting up a Zap that pushes new RocketReach contacts into a spreadsheet. We then went over the steps to test to make sure everything was set up correctly. From here, you should be able to do lookups and have any new lookups automatically appended to your Google Sheet. We encourage you to explore everything that is possible with the RocketReach Zap, including automating searches and lookups. 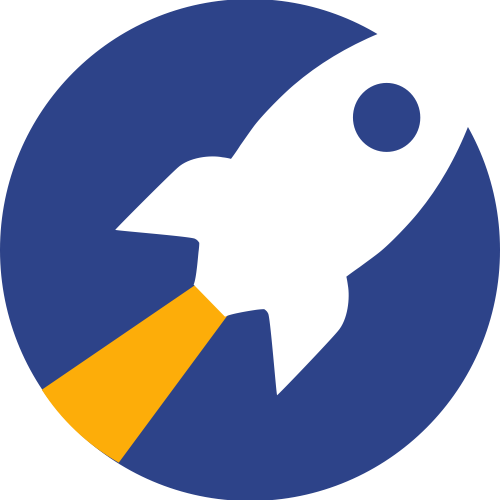 The RocketReach team has created created Zap templates (accessible here) where you can quickly get started with other integrations, and hopefully get inspiration for some of your own!